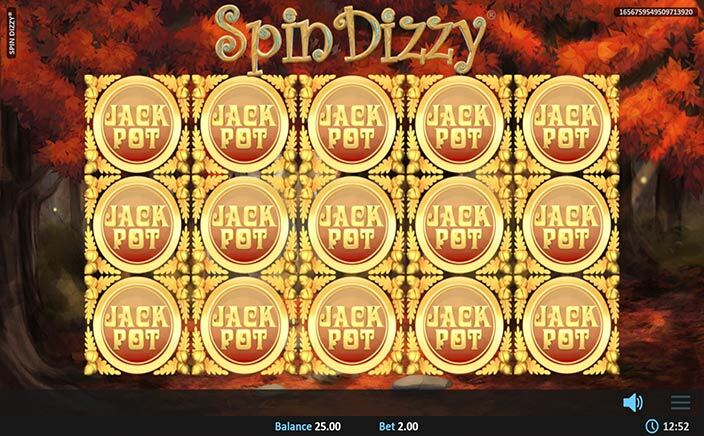 Spin Dizzy is an online slot game developed by Realistic Gaming who came up with 5 reels and 20 paylines. This slot game has an enchanted forest background with magical creatures and with treasures loaded to provide the players with a thrilling experience. More to thrill the players, developers have included several features in this slot game. It has a betting range of 0.20 to 100 and the maximum jackpot that a player can get is 25,000 coins. The jackpot prize is the pot containing the gold. This is one high-value symbol. Apart from this, you have a purple gem ring, playing cards, clover with 4 leaves, harp, and the toadstool which pays the player with low values. When you have 3 scatter symbols appearing on the reels, you have the “Spinning Wild” triggered. But if you have 4 scatter symbols appearing, then the same free spin is triggered in addition to 5000 coins as prize money. The jackpot prize money of 25,000 coins is triggered when you have 5 scatter symbols on the reels. This jackpot prize money is awarded to the player directly and the player doesn’t have to enter the free spin feature. In Spin Dizzy, the wild symbol is the circular mirror which is coated with bronze and has autumn leaves surrounding it. This symbol replaces all the other symbols except the scatter symbol and this is the most liberal payout at the table. There is a Spinning Wild symbol which is triggered by a fairy. As mentioned earlier, it can be triggered when you have 3 scatter symbols appearing on the reels. This fairy can upgrade your winnings with multipliers of 2x or 3x. A silver coin in Spin Dizzy slots game represents the scatter symbol. The free spin bonus is activated in this by acquiring 3 or 4 scatter symbols on the reels. The bonus feature is the free spin bonus round where you don’t have the symbols for a payout rather you have fifteen spinners which can trigger free spins, standard wilds, and multiplier wilds. 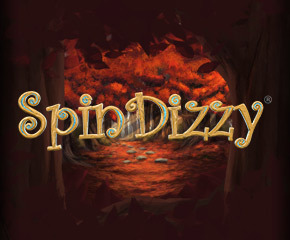 Spin Dizzy has a thrilling feature like the free spin bonus, which can be retriggered when the fairy appears. Along with this, you have a good payable jackpot which sets as another feature for this game. With the mobile-friendly and with a good user interface, this slot game stands out the best in class for online slot game players.